Never trade with anyone that request for digital gift cards in exchange for services, items and others. The site’s administrator is a notorious scammer – you have been warned. We’ve received a number of emails asking us if we are associated with the eTeam League – https://twitter.com/eTeamLeague_CR which appear to be asking for money from other teams to participate in their fraudulent competition. We would like to inform everyone that we are definitely not associated with eTeam League and do not endorse them or support them in any way, and have no knowledge of who they are. Stay clear away from them. We’ve came across another scam site that wants to steal your digital Gift Cards and we would like to remind every shoppers again to be wary of such sites. This syndicates usually uses the same modus operandi to commit their scams. They will first ask you to purchase a digital codes from other websites and then they will request you to e-mail them the codes or input the serials through a submission form. By doing so, you are exposing the digital codes to them and losing the digital codes in the process. Do not fall prey to such malicious websites. If you have any doubts about any websites that requires you to purchase any codes from us in exchange for physical products, services or digital goods, please do not hesitate to contact our live support for assistance. We have received reports that scammers are pretending to be OffGamers staff members. In this scam, they will claim to be staff from OffGamers.com and offers leveling services for a fee. 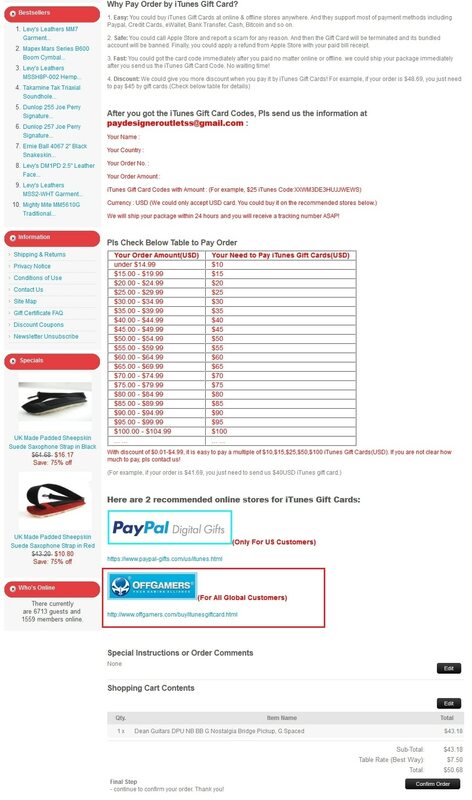 These scammers will request their victims to purchase digital gift cards from OffGamers.com and to provide the codes to them as payment. Once the codes are revealed to these heinous individuals, they will attempt to extort even more codes from their victims without providing any services in return. Remember, if anyone claims to be from OffGamers.com and offers exchanges for physical items, digital goods, boosting/leveling services, virtual currency and other form of services, we’re not associated with them. Don’t lose hundreds or thousands of dollars when you can get our live support for free. If this happens to you over Skype, you are being targeted for fraud and should report it to us immediately at support@offgamers.com or submit a ticket here. Our customers have reported and fallen victim to this scam site – https://paxful.com/. This site accepts OffGamers Gift Card as payment and claims they will provide digital currencies in return. We would like to remind everyone again to avoid such nefarious scam sites and don’t fall victim to them. Any websites that claims to offer gift cards, physical items or even virtual currency exchanges are known scam sites and we are not affiliated or associated with the operators of any third party websites that provide such services. We’ve received reports that this site http://www.buyvirtualcard.biz/ is defrauding our customers of their game points card and cdkeys in return for digital currencies. We would like to remind everyone again not to conduct any exchanges with them or any other sites that offers virtual currency or physical items exchanges. We’re not in any way associated or affiliated with any exchange sites, and never will be. Such scam sites always runs on similar m.o. Firstly, they will request you to purchase a point cards, cdkeys, game cards or any other intangible goods from certain sites. Then, they will either ask you to mail them the serial codes or enter it in an available field to verify your order. (at this point you have expose your serials to them). After receiving your codes, they will halt all communications with you and you’ll end up losing your game codes in the process. Don’t fall victim to such obvious scams. Be smart and do a reverse thorough look-up on such sites or contact us at our live support for answers, if you’re unsure of a particular site that offers such exchanges. It has come to our attention that some of our customers have recently fallen victim to Internet fraud. This site http://www.e-wowinn.com/ has defrauded many customers of their PSN codes and claims to be affiliated with us. We would like to remind everyone to be cautious of websites that allows codes exchanges. We are in no way associated with codes exchange sites, codes generating sites and even physical items exchange sites. Remember to be extremely wary of anything online that sounds “too good to be true”. If a website suffers from poor design and looks as dodgy as this – http://www.e-wowinn.com/ is a telltale sign to avoid it. In this case, the customer reports that some websites are requesting iTunes codes as payment in exchange for physical products. Our customers have provided the iTunes codes to the recipient paydesigneroutletss@gmail.com or paydiscountbills@gmail.com and not only that they were cheated of their iTunes codes, but they also did not get the products as described on the scam sites. We would like to inform all customers to be wary of such sites and OffGamers has no affiliation with these websites that offers iTunes codes trades or exchanges for physical and virtual products. This is a very serious matter and OffGamers would like to remind all customers to be cautious and buying only from trusted vendors or websites. If you come across websites that request payment in form of iTunes card purchased from us in exchange for physical or virtual products, please contact our live support immediately for assistance. Don’t get scammed! Remember, if you have any doubts about websites that requires you to purchase iTunes codes from us in exchange for physical products or digital goods, please do not hesitate to contact our live support for assistance. I wish I had seen this on the 18th. I looked all over for information on any of the sites with the paydiscountorders@gmail.com footprint but I couldn’t find a single review. I was pretty sure it was a scam but decided to risk 30 dollars to see if anything happened. So far no communication at all with the seller/scammer. I don’t think the itunes code has been redeemed either but I’m not sure how to tell. I made the purchase through teir partypaks.com/orchestral portal.I wish there was a way to remove these people from the internet. Thank you for your information. My advice to you is to redeem the iTunes code immediately at Apple store to prevent the code from being used. Any websites that are willing to exchange physical items for iTunes codes are usually scam sites for your knowing. This syndicate has cheated a lot of customers and their M.O. usually works this way. – they will request you to enter your newly-purchased iTunes code to complete the transaction. – After entering your Itunes code, a pop-up message will inform you that the code is invalid. This is where you have expose your iTunes serials to them and these scammers will sell the codes off to another buyers of theirs. In the end, you will not receive the physical items as promised and even lost an iTunes code in the process. Do share the word out to your family and friends on this. I’m surprised there seems to be no one else reporting this as a scam. Your site is the only one that mentions them. They already redeemed the card. I tried to jump on it and redeem it myself but it was to late. I’m going to list them with ripoff report and similar sites. Sorry to hear that Andrew and yeah, let’s do our part and report such sites to the authorities or scam watch sites. The best place to report these guys is the FTC i am pretty certain they deal with online scams/thefts in the US… Not sure about anywhere else… I’m in the UK. DO NOT SEND THEM ANY RIXTY CARDS AS PAYMENT WHICH THEY WANT AS PAYMENT INSTEAD OF NORMAL PAYPAL OR CREDIT CARD. ALSO RECOMEND STRONGLY DO NOT PAY THEM ANYTHING AT ALL!!! I LOST 100$USD, SO DON’T BE THE NEXT FOOL ON THE LIST!!! i wanted sell btc and buy gift card at paxful. they are scammer?!! gift cards are invalid too? Hi Mohsen, don’t fall victim to their scams and stay away from them. Steam Wallet is a scam. Please do no reply any sms. It simply charge to your mobile phone bill. Cheating of consumer and we should report it to MCMC. My daughter mobile number just get charge twice yesterday after reply the message. I will report to police and MCMC in order to ban this scam. Hi Liew, you might want to check whether the Steam Wallet purchase is made from your daughter’s mobile number registered under Digi. There are several cases of such scams and you can learn more here. Yes. it is from Digi and so far is there any action taken by Steam and Digi to prevent these scam ? At the moment, there’s no news on how they will resolve this matter. Digi made it too convenient for people to purchase Steam Wallet codes, and you could take a look at their site here. To purchase a Steam code, you just need to enter an active Digi mobile number, select the denomination and a TAC number will be sent to the buyer for confirmation. That’s the only safeguard that is in place and with little effort, scammers will try and defraud their victims in giving up the TAC number. For the time being, it is advisable to post your issue at Digi’s social media pages like Facebook, and also do file a police report. As long PDRM is aware that crimes have been committed over digital goods, their cybercrime division will look into it.